St. Michael’s has grown from an initial pilot founded with the support of the European Union and the Romanian National League for Families of Children with Mental Handicap. This pioneered both community tutoring and small teaching groups with four dedicated educators, art and physiotherapists. Using PECS, Picture Exchange Communication System and ABA therapies has helped over sixty children and families to deal with the most challenging disorders. For many of the children this Autism Group was the first time, they had ventured outside their family home, they revelled in the range of planned outdoor activities, short stay vacations, and activities tailored to develop their confidence, maximise their experience, improve their co-ordination and motor skills, and develop confidence and experience life in the wider community. After two years of negotiation to see the project expand and operate within a school setting, the Copii in Dificultate Team reached agreement to re-locate and expand classes in the School of Deaf in Bucharest Sector One. The new school, offers fifty-five children places in a gradinta (kindergarten) Junior and ABA classes. The Sector’s Education Authority, supplies, two additional gradinta teachers, who are being integrated into the existing team. This will shortly expand with additional educators to help another five children, in intensive one to one ABA therapy, in an additional junior class. The community programme continues to reach out to forty older children, who have already graduated from the project and other adolescents for whom this programme is the only service available. In the near future, the aim is to develop an evening youth group, to offer another alternative to a life closely supervised by family members or care in an institution. 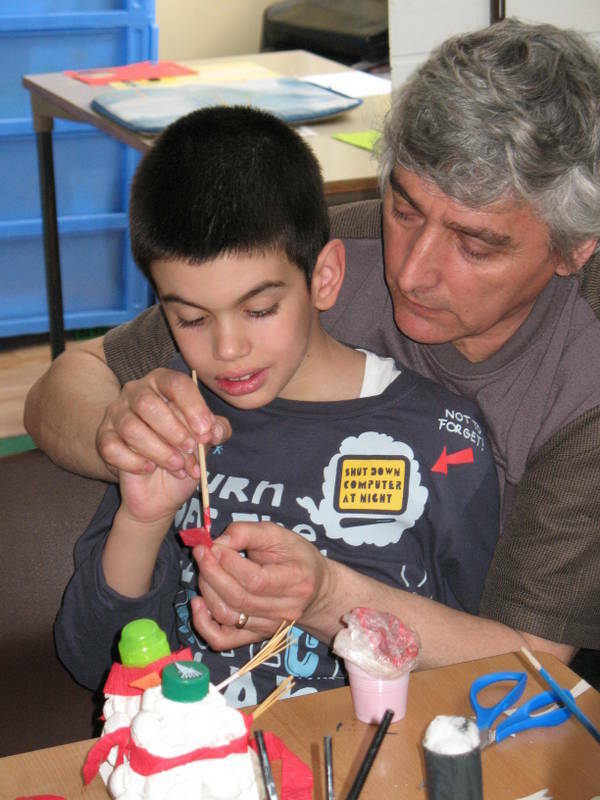 Children in Distress, has promoted a complementary programme of conferences, workshops and training events and by doing so has changed the attitude, treatment and care of those living with ASD (Autistic Spectrum Disorders) across Romania. Offering hope where often there was none. The seventh in the Charity’s series of conferences and workshops will be an international event, bringing together some of the pre-eminent consultants and specialists from France, Germany and the United Kingdom, in a two day symposium and participative workshop programme. The annual conference programme brings insight and focus to the challenges of autism and gives hope to those who each day must live the challenges autism brings.